The University of Kent, the UK’s European University, is one of the country’s most dynamic universities and is proud of its record of research-led teaching at Canterbury, Medway, Tonbridge and Brussels.  Eshcon helped implement an Environmental Management System (EMS) and the successful certification to ISO 14001. The University has a history of good environmental management but wanted to gain ISO 14001 to co-ordinate its numerous functions and initiatives, to drive further improvements and to help progress up the Green League, an environmental performance table of all Universities. Attending the certification audits, guiding the external auditor and assisting with any follow-ups. Eshcon provided the knowledge and guidance in establishing the EMS, allowing the University to concentrate on the running of the system and detail. The University was very pleased to be successfully certified to ISO 14001, achieved first time, on time and with no non-conformances. The University is seeing a range of benefits, including environmental improvements and cost savings, e.g. from energy reductions. Staff and senior management have become more engaged, raising the profile across the organisation. They demonstrate leadership to their stakeholders and have improved the score in the Green League Table.